Many people gravitate toward residential or other real estate because of a balcony. Although balconies are desirable, they need to be properly constructed and maintained in order to be safe. Otherwise, they can cause accidents that result in serious injuries or even death. As our Chicago balcony accident attorneys are aware, all property owners owe a duty to visitors to maintain safe balconies, and they may be held liable if a visitor falls because of a balcony collapse or a dangerous condition on a balcony. The premises liability attorneys at Moll Law Group can help you seek compensation if you have been hurt in a balcony accident because of a negligent property owner. Balcony accidents can be a result of defective design, building code violations, weak supports, rotten wood, rusty nails, inadequate maintenance, or excessive weight. The first issue will be whether the property owner owed a duty to fix the condition in order to avoid an injury. In determining whether there is a duty, courts typically look at the foreseeability of the injury, the likelihood of the injury, how heavy the burden of fixing it would be, and the consequences of a defendant bearing that burden. Under the Illinois Premises Liability Act, property owners owe a duty to invitees and licensees to use reasonable care under the circumstances in connection with the condition of their premises. A balcony accident lawyer in Chicago can help hold them accountable for a violation of this duty. Invitees are people invited onto the property for a business or pecuniary benefit to the owner or because of a mutually beneficial interest or an activity that the owner carries out at the premises. They can include business customers, restaurant patrons, employees working on location, spectators at recreational events, family members helping with childcare, and babysitters. Licensees are people who come onto the premises for no purpose linked to pecuniary interest, such as social guests. A property owner may be liable to an invitee or licensee after a balcony accident if the owner knows or reasonably should know that there is an unreasonable risk of harm to a visitor in using the balcony, the owner should expect that the visitor will not realize the danger, and the owner fails to use reasonable care to warn the visitor or otherwise protect him against the danger. Visitors are entitled to expect that a landowner will use reasonable care to determine whether a balcony is safe, and to make repairs or provide warnings if the balcony is not safe. In some cases, a balcony has defectively designed parts. When this happens, it may be possible to bring a product liability lawsuit against a manufacturer for the harm caused. 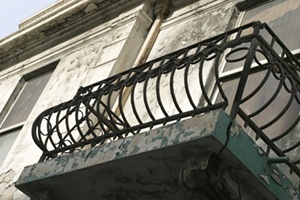 Premises liability cases can be challenging because you need to establish that the owner knew or should have known about the dangerous condition at issue, such as a balcony with rotted wood or improper supports. If you have been injured in a balcony accident, the Chicago balcony accident lawyers at Moll Law Group may be able to investigate and litigate on your behalf. We also represent victims in Naperville, Schaumburg, Wheaton, and communities throughout Cook County. Billions of dollars have been recovered in cases in which we have been involved. To set up a free consultation with an injury attorney, contact us online or call us at 312-462-1700.